Regardless of where you are on your faith journey, we welcome you to become part of our vibrant and active Seton Parish family because every parishioner -- including you -- is an essential component of building something of immeasurable importance: the body of Christ. We are a mission-focused church that serves the needs of the poor and vulnerable of our community. If you stop by our Parish Activity Center on any given Wednesday, you will find parishioners sewing sleeping bags for the homeless. During the winter, we collect hundreds of new coats so that they can be distributed to needy families. 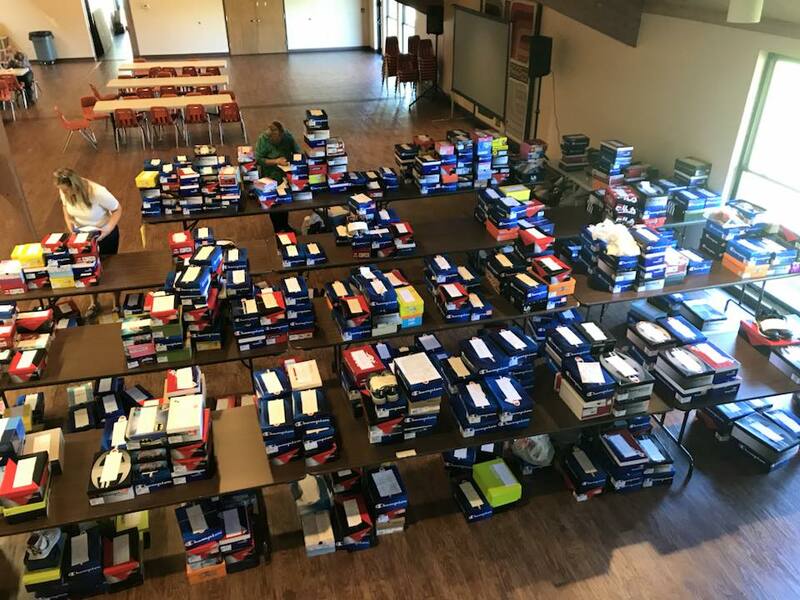 Each year our parishioners donate over 700 pairs of shoes and drive them to Kentucky to physically place them on the feet of needy school children. During Advent, our parishioners donate enough food to fill over 750 baskets and hand deliver them to families living in the poorest part of Scioto County. We frequently serve meals to needy families through the Interfaith Hospitality Network, ease the burden of our own parishioner families through Helping Hands, and visit those who are homebound and unable to attend church with us. We are a church that wants your heart to grow through a personal, life changing encounter with Jesus Christ. If you are struggling, searching, or even stagnant in your faith, we offer an amazing eleven week course called Alpha designed to open your heart and kindle your spirit. Women interested in small group bible studies are encouraged to try Walking With Purpose. Men are encouraged to strengthen themselves and their families through our That Man Is You! program. If you feel called to become Catholic, our RCIA program will lead you on the path to come into full communion with the Church. If you are interested in growing your faith, there are many fellowship groups, Scripture studies, and access to Formed, an entire online portal of movies, books, and material. During the Lenten season, we invite guest speakers to facilitate a parish mission designed to engage and improve the spiritual lives of our parishioners. And if you are a parent, we offer many youth-oriented faith formation programs designed to teach and embolden the faith of our youth. We are a church that finds beauty in our everyday surroundings. 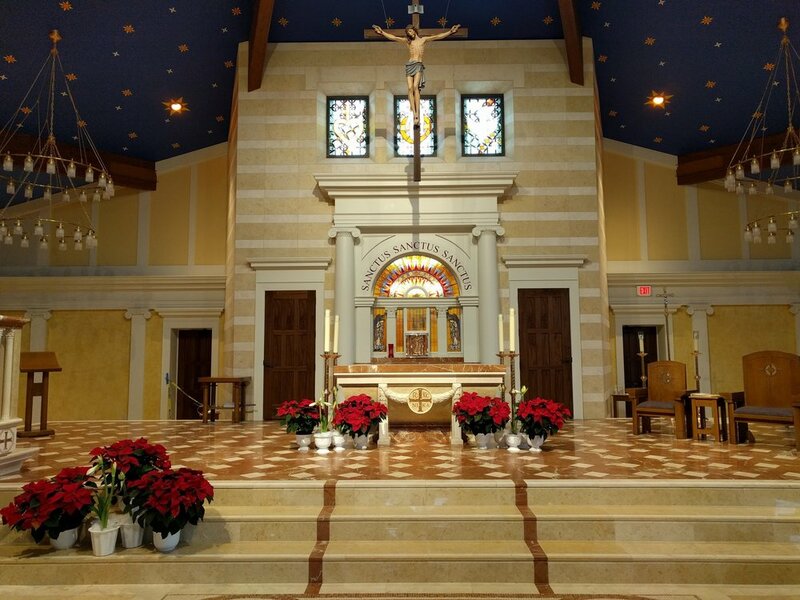 Come join us for Mass in our newly renovated church that truly fulfills the mission of becoming a "home for our faith" through spiritually focused design and beautiful architecture. Our Gardeners' Guild is a group of parishioners that lovingly maintains all the flower beds that surround our church. We encourage you to stop by our adoration chapel for an hour of prayer before the Blessed Sacrament. It is open 24 hours a day to help you to find solace and peace in the midst of your hectic everyday life. Our church was renovated in 2017 to become a "home for our faith"
We are a church that works hard to serve the needs of others, but also recognize and celebrate the joy of fellowship. 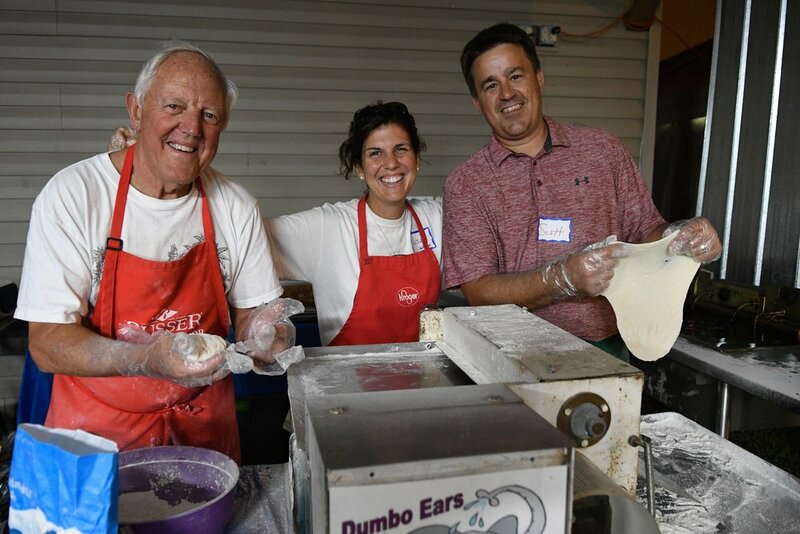 Our annual Parish Festival brings families together from all over Pickerington and the surrounding communities with rides, games, and amazing food. In October, we conduct a Fall Festival where our parish families carve pumpkins and relax with great food. To celebrate the founding of our parish, we recently conducted an amazing 40th celebration including an outdoor Mass. Our Spiritual Life ministry conducts many events to strengthen people’s relationship and devotion to Christ. Our Knights of Columbus periodically serve up delicious pancake breakfasts after Mass. And you certainly will be hard pressed to find a better Lenten Fish Fry anywhere in the state. We sincerely hope that God, in his infinite wisdom, desires to place you within our Seton Parish family. We would love for you to call this parish your home.